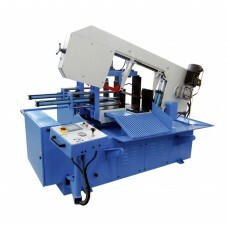 Bandsaws for cutting metal are available in vertical and horizontal designs. 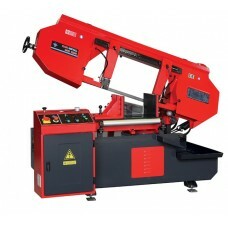 Typical band speeds range from 40 feet (12 meters) per minute to 5,000 feet (1,500 meters) per minute. 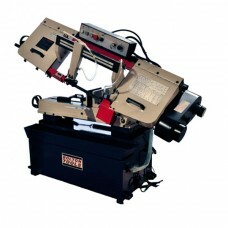 Metal-cutting bandsaws are usually equipped with brushes or brushwheels to prevent chips from becoming stuck in between the blade's teeth. 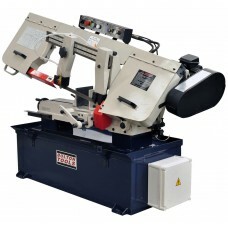 Systems which cool the blade are also common equipment on metal-cutting bandsaws Horizontal bandsaws hold the workpiece stationary while the blade swings down through the cut. 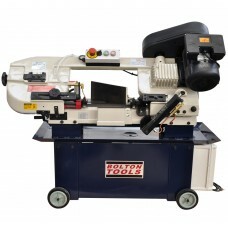 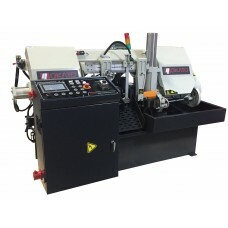 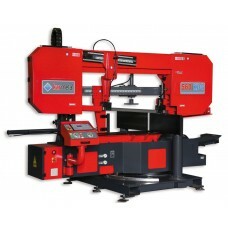 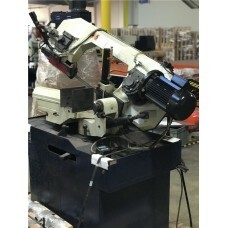 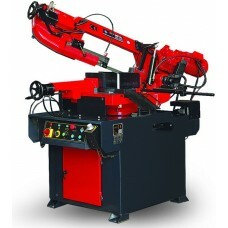 This configuration is used to cut long materials such as pipe or bar stock to length. 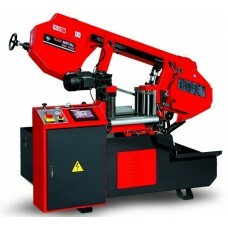 Thus it is an important part of the facilities in most machine shops. 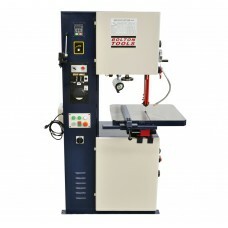 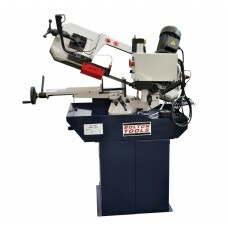 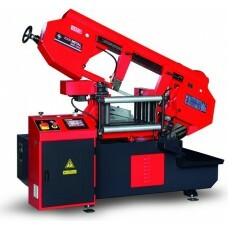 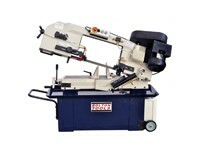 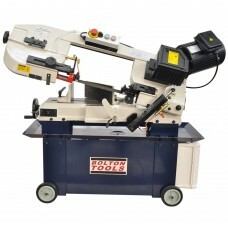 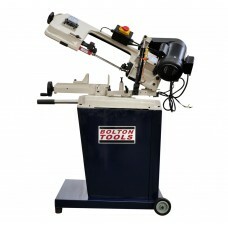 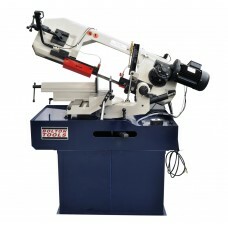 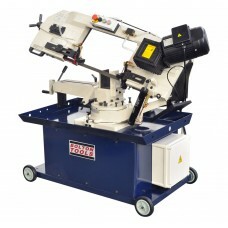 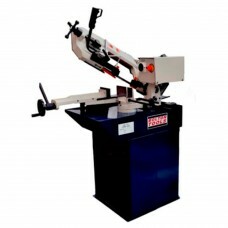 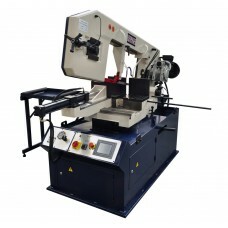 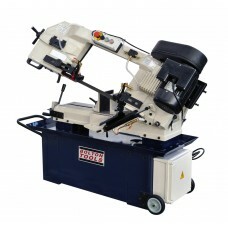 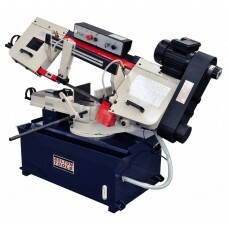 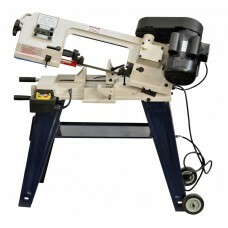 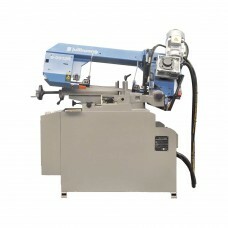 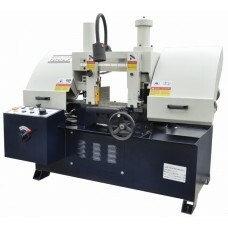 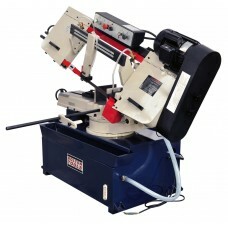 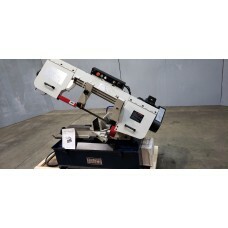 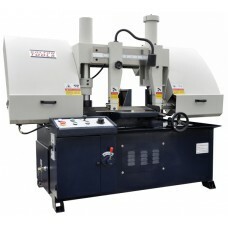 Julihuang Miter Band Saw Semi-Automatic 2-1/2HP 9 In. 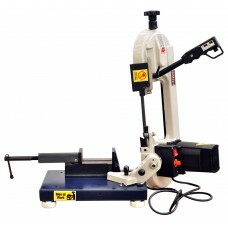 × 12 In. 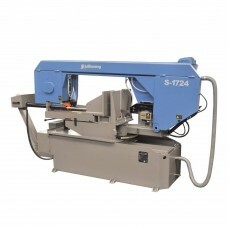 Julihuang Swivel Saw Semi-Automatic Hinge Type 17 In. 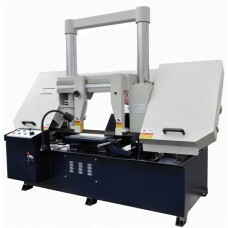 × 24 In.